Defence Minister Peter MacKay, under fire for flying in a military helicopter while on vacation in Newfoundland, also took a military Challenger business jet to reach his Nova Scotia riding for a lobster dinner, documents show. The occasion that prompted use of the government jet was the 76th annual Pictou Lobster Carnival in July 2010. The trip happened the day after a military search and rescue helicopter based in Gander, N.L., picked up MacKay from a fishing holiday on the Gander River. Under questioning in the Commons on Thursday, MacKay defended arranging for the Cormorant helicopter, which he said was not for personal use but for work. He wanted to participate in a search and rescue demonstration with 103 Squadron at Gander and cut short his salmon fishing trip to do so. “I think as minister of national defence, I should familiarize myself at every opportunity with those who perform these daily heroics," he said. It costs about $32,000 an hour to fly a Cormorant. After the demonstration, the rescue chopper took the minister to the Gander airport, where a Challenger jet was waiting to whisk him off to London, Ont., for an announcement. Then MacKay got back on the Challenger and flew to Halifax, so he could attend the lobster carnival in his home riding, where he successfully defended his title as lobster banding champion. Rules say the government's Bombardier Challengers can only be used if a trip is for official business. 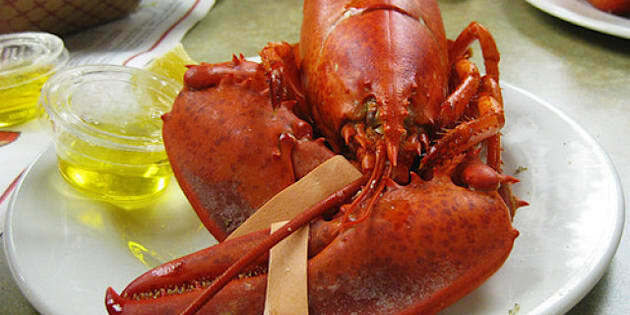 MacKay’s office says the lobster carnival fit this requirement, and that the trip to Pictou was government business. But NDP defence critic Jack Harris doesn’t believe it. "We're talking here about a minister who obviously sees the military assets as a means of convenience for his personal or political activities, and that’s wrong,” Harris said. On Thursday, more New Democrats from Newfoundland and Labrador, as well as the provincial Fisheries Union boss, spoke out against MacKay's use of the Cormorant. St. John's area MP Ryan Cleary said he had asked for a tour of the rescue squadron in Gander because he was interested in better response times, but National Defence turned him down, saying a visit would interfere with operations. The minister’s Cormorant trip offended Fisheries Union president Earle McCurdy, who has spoken about the need to improve search and rescue response times and who also opposes the closure of the St. John’s Rescue Centre. Provincial NDP Leader Lorraine Michael was shocked by what she considers MacKay’s lack of respect for the taxpayers' money. “I mean where are their heads?” Michael asked. “Who does he think he is, you know? 'I'm a minister of the Crown, so I have the right to do this?’ No, as a matter of fact, as a minister you have a responsibility to spend the public monies wisely." After the Nova Scotia lobster carnival, MacKay flew to Calgary to spend two days at the Stampede. This time, however, he flew on a commercial airline, at a cost of a little under $1,600 — a far cry from the roughly $25,000 spent on the Challenger the day before. Other flights of the federal government have also come under scrutiny this week. According to documents obtained by CBC News, a majority of flights on government-owned Challenger jets during June were taken by defence officials who could have used commercial aircraft.